Studio Pilates band packs are the ultimate home workout accessory. Incorporating the bands into your Matwork or Reformer workouts allows you to add additional resistance, maximising your results. 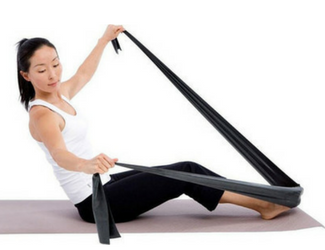 The Studio Pilates band pack includes two bands, a long band which can be used for arm exercises and a short band for leg and buttock exercises.